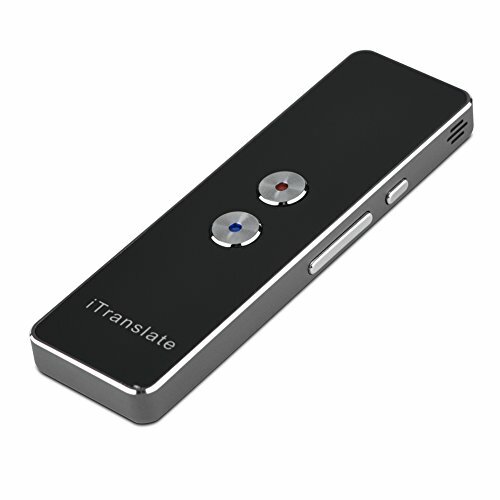 【30 languages】: T8 intelligent translation bar is equipped with the spoken language of 30 countries, accurate translation, and the best partner for traveling abroad. 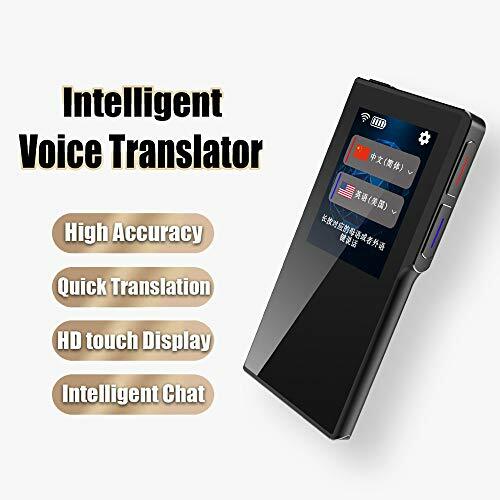 【Voice translation, simple and fast】: Connect to the phone, press and hold the button to speak, enter the voice password, you can get the translated voice. 【Multi-purpose】: It is not only an international translation officer, but also a professional foreign language teacher, portable learning machine, and efficient oral training. 【Long-term work】: The battery is stable and stable, can be fully charged in 4 hours, can work for 75 hours, and can be used for 15 days. each language can be translated into itself. 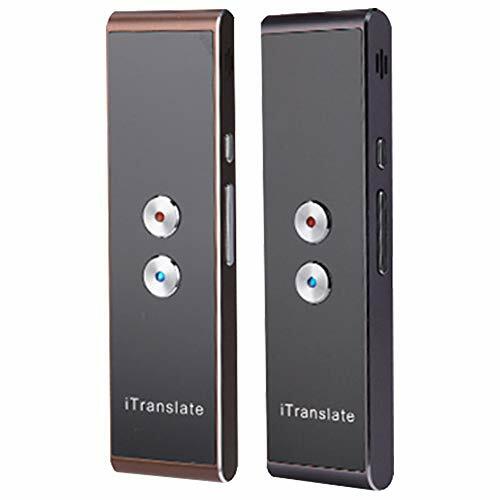 Easy to meet your multilingual translation needs so that you can have smooth communication. 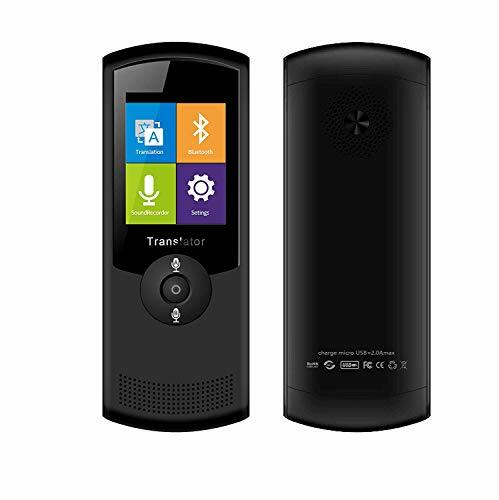 Wireless connection Supports WIFI to connect to the Internet at high speed, making the translation more convenient and accurate. 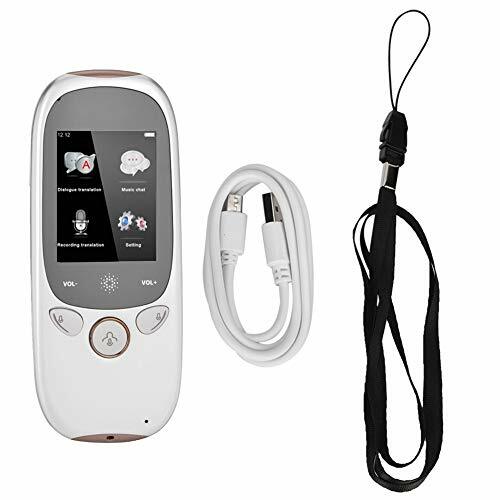 Long Life - Large capacity with 1050mA battery allows the translator to work for a long time. Small and Exquisite Design - Small and portable, so convenient to carry from, wherever you are. In Offline Translation Function-When there is no network, there are 2 common language translations available (English and Chinese) anytime and anywhere. &#x1F195; [Multilingual Translation] - Intelligent language translator is based on the Google translation engine, easily achive two-way translation in 70 languages. So that you can achieve transnational communication smoothly. 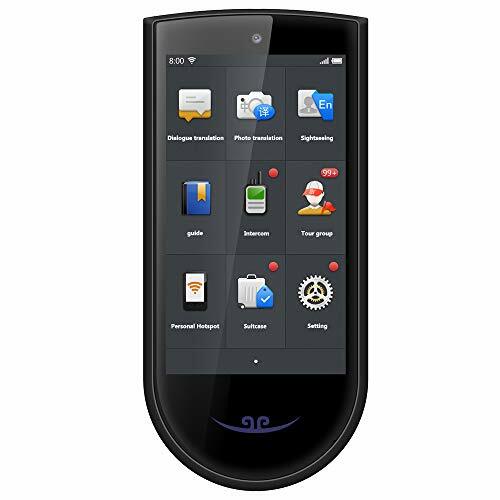 &#x1F195; [Touch Screen] - Equip with 2.4 inch large HD touch screen, multi-touch operation, the audio and text is synchronous in a real-time display. It is friendly for persons with poor hearing or memory. 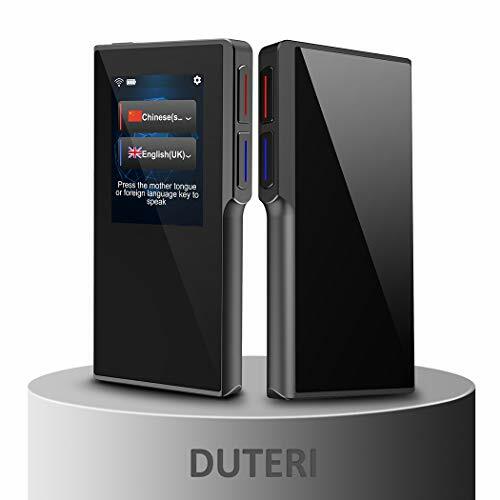 &#x1F195; [Fast Networking] - Smart translator adopts WIFI Hotspot multiple networking mode, no need for SIM card or downloading APP. 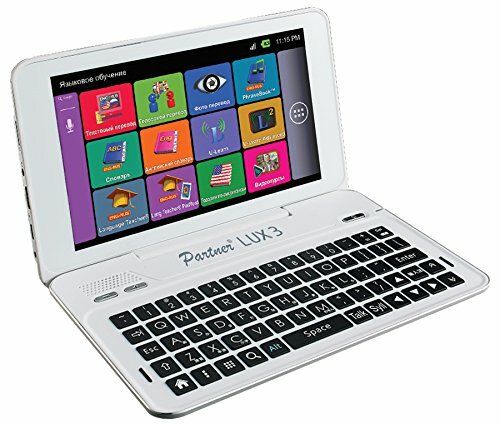 You can use it to travel, learn new languages, go shopping, make foreign friends, practice pronunciation, etc. &#x1F195; [HIFI Recording Function] - It has meeting recording function, which can be translated while recording. 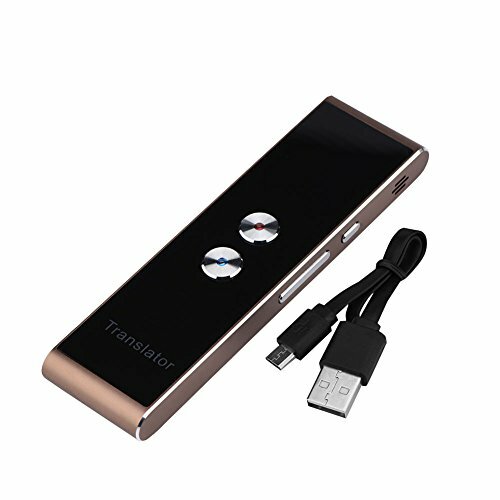 Translator adopt high-fidelity speaker with double clear noise reduction microphone to ensure more accurate voice input and recognition. &#x1F195; [Automatically Updated] - Support fota networking upgrades, when the new version coming, the translator will automatically upgrade to achieve more language and feature updates. 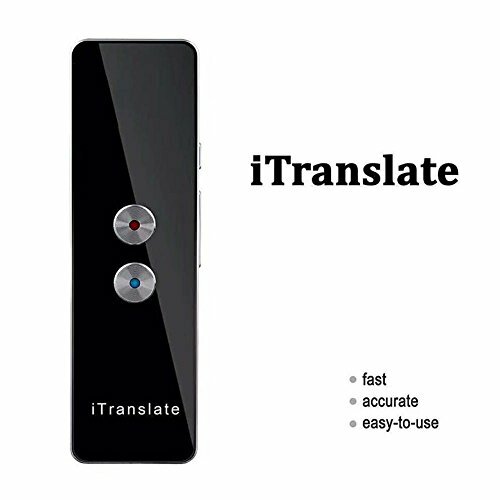 【Accurate instantaneous translation】it uses 4 intelligent translation engines, it supports translation between 45 Languages.The accuracy rate is as high as 97%. 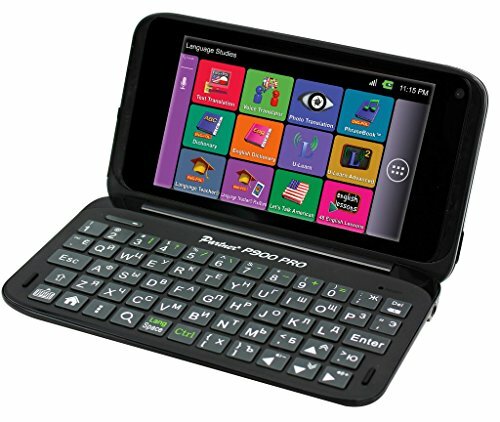 You can by speaking or typing input your text, which can be translated within half a second. 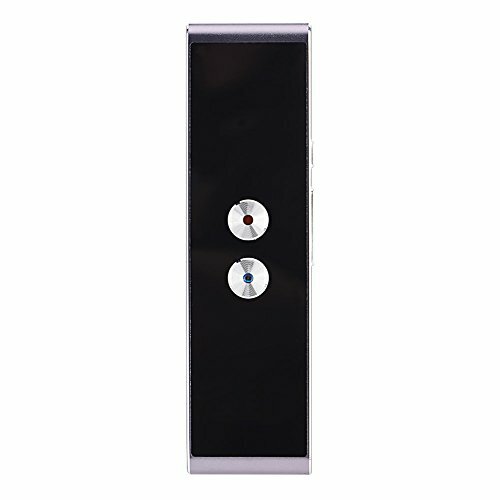 【Can be used offline】Support WIFI and Bluetooth antenna, offline translation, you can choose the collaborative approach according to the actual current of the environment of use. 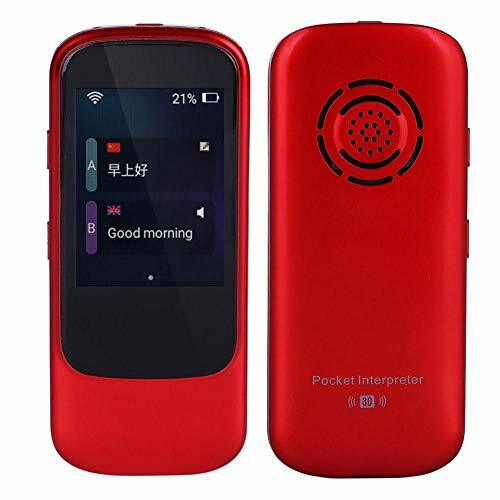 If you are outside or unable to connect to the internet, the system automatically starts the offline translation function, which can be translated into Chinese and English languages anytime and anywhere. 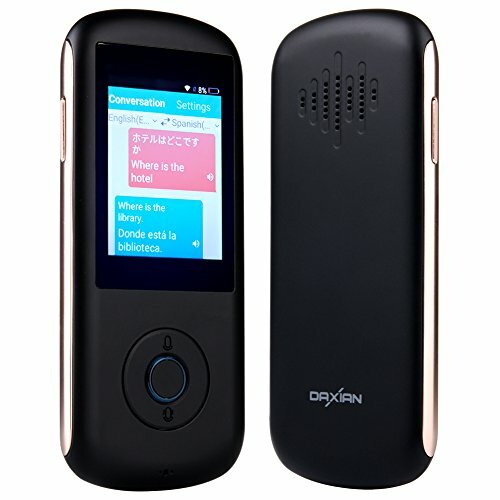 【Two modes for online translation 】it supports Wi-Fi and 4G/5G ship card. 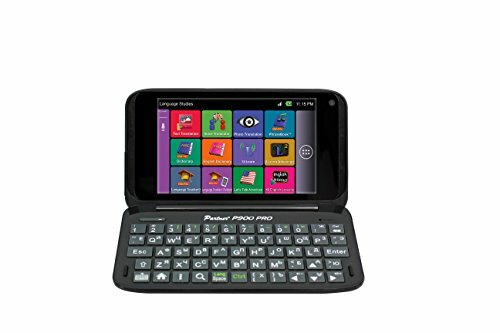 Its running memory is 512MB and external storage 4 GB. You can insert your own memory card. 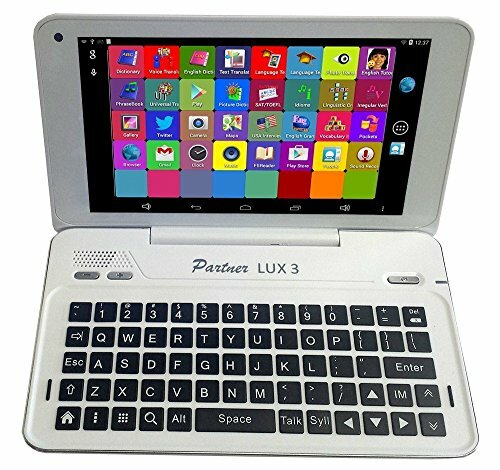 【Long battery life】it is equipped with a 1280-mah battery, whose standby time is 5-8 days, and a 2.0-Inch high-definition color screen. It is very small and portable and can be hung to a rope. 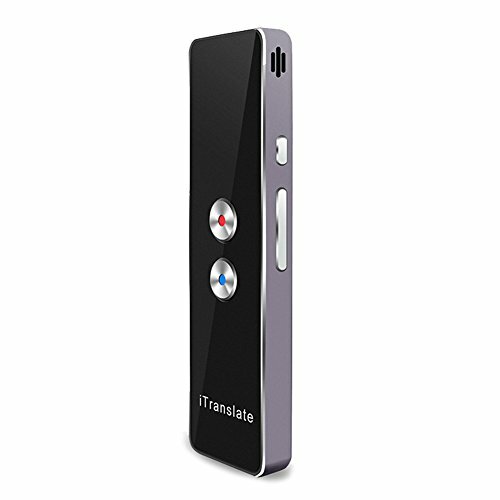 [Portable & Handy Design] Handheld and pocket size, small and exquisite. Convenient to carry with wherever you go. 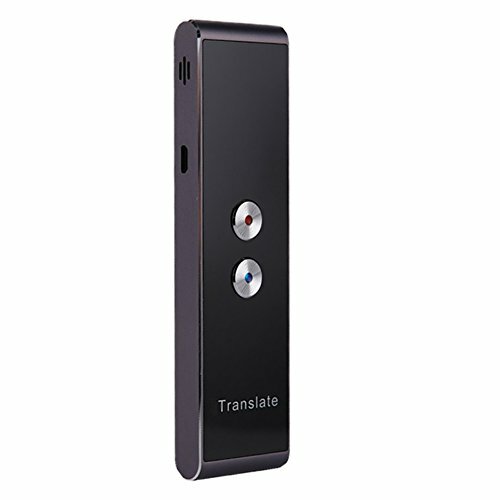 Mini portable design makes your intimate translation partner. 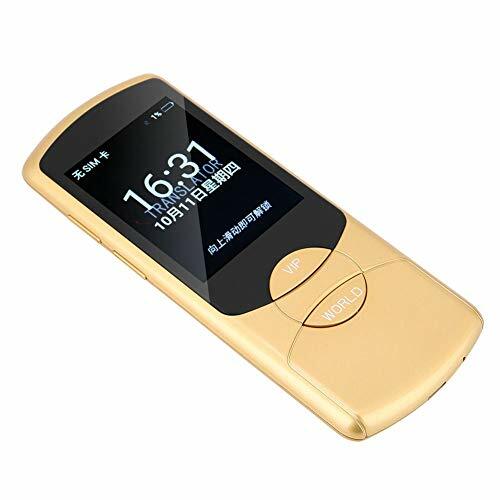 [Mini portable] This smart performer with super mini design, very easy to portable, you can put it in your pocket, wallet etc. 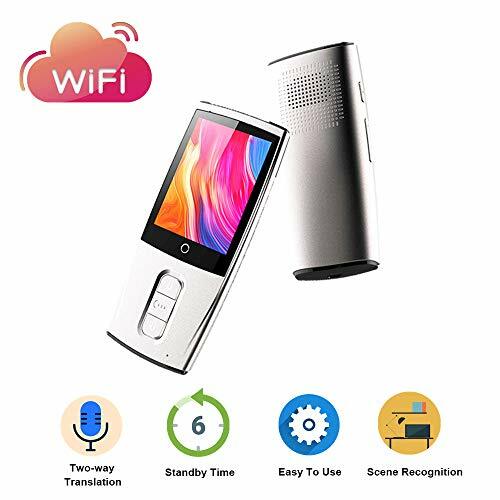 [Can be used offline] Support WIFI and offline translation, you can choose the collaborative approach according to the actual current of the environment of use. 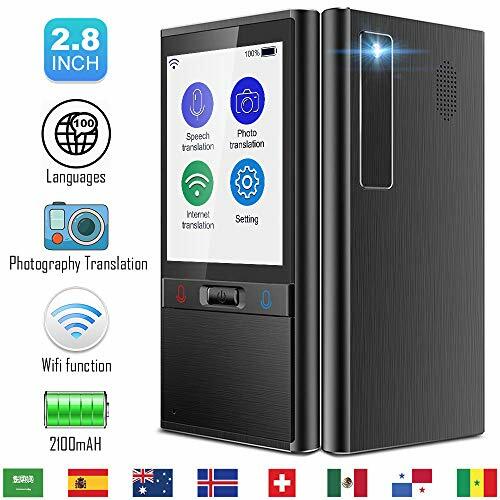 If you are outside or unable to connect to the internet, the system automatically starts the offline translation function, which can be translated into Chinese and English languages anytime and anywhere. 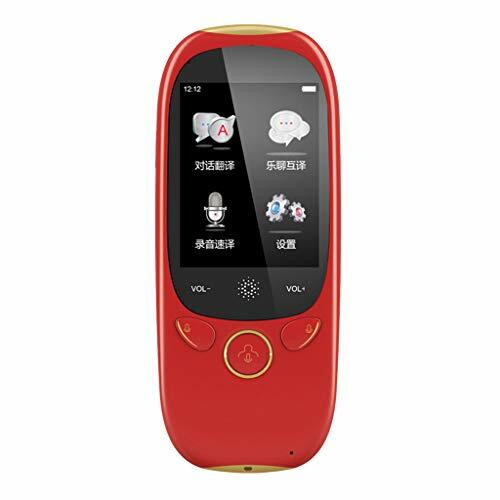 [Widely compatible] The battery capacity is 1500 mAh, charging time for 2 hours and working time for 6 hours, standby for up to 4 days. 106 countries data without insert cards: Cloud SIM card technology, no need to insert SIM card when using. Users can purchase destination country data at any time (support WeChat, PAYPAL payment). 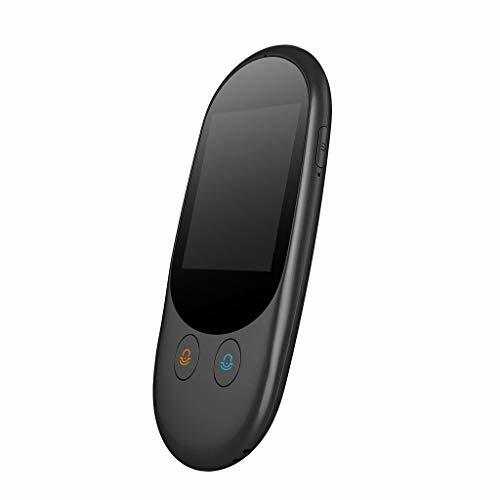 When traveling abroad, the device will automatically switch to the local best carrier network to solve the problem of difficult Internet data. 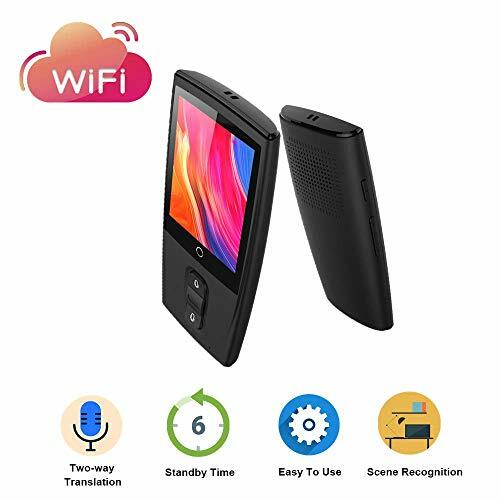 Wi-Fi sharing, connect anywhere, anytime: Cross-border business travel activities are inseparable from the wireless network signal, the full-language communication partner comes with a data libarary, after the hotspot sharing, other mobile devices can be freely connected. Photo translation: Road signs, menus, Chinese (English) manuscripts, documentary nature, free translation, can quickly translate the text content of the photo into the language of the language you need. WPS hotspot connection button: Open the WPS connection in the device that needs to connect to the hotspot, and press the round button on the back of the device to connect to the hotspot automatically. 72 of national languages: Chinese (Mandarin/Cantonese), English (US/Australia/Canada/UK/India/New Zealand), Arabic (Egyptian), Danish, German (German), Spanish (International/ Mexico), Finnish, French (Canada/France), Italian (Italian), Japanese, Korean, Dutch (Netherlands), Polish, Portuguese (Brazil/Portugal), Russian, Swedish, Indonesian, Czech (Czech Republic), Hungarian (Hungarian), Romanian (Romanian), Vietnamese (Vietnamese), Arabic (Saudi), Hindi, etc. Touch screen operation, audible and repeatable. High precision, fast translation. 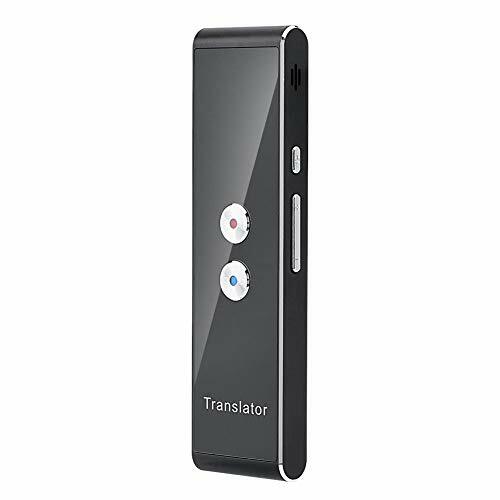 MULTIPLE LANGUAGES TRANSLATOR: This voice language translator can support 70 languages translation, it is with two-way translation, and the voice of the device is clear and loud, easy to meet your multilingual translation needs so that you can achieve transnational communication smoothly. 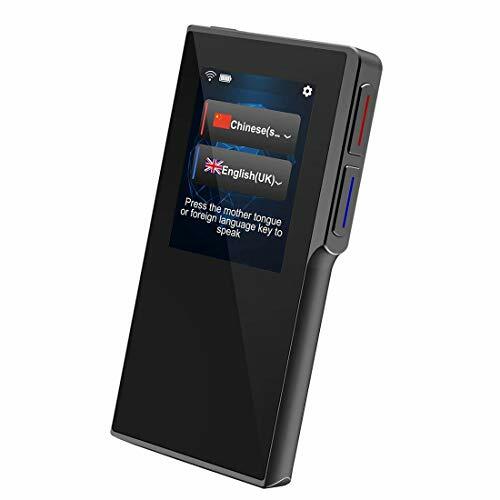 HIFI RECORDING SOUND QUALITY: The language translator with high-definition recording, independent noise reduction microphone, and can accurately enter language in noisy environment, always keep voice clear, and it's also convenient for repeated listening, If the others doesn't hear it clearly, you can play it again. 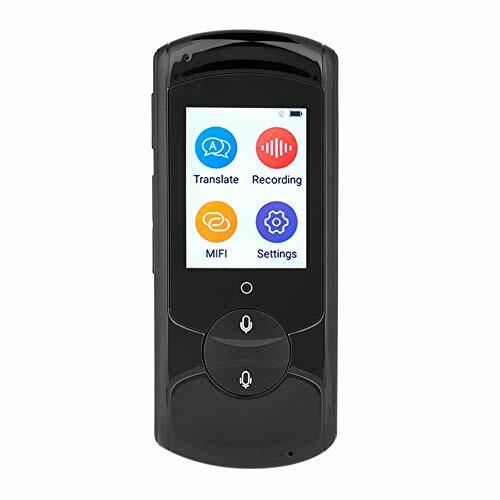 WORRY FREE GUARANTEE - Birgus voice language translator will come with a 12-month warranty guarantee.And we will provide fast and easy-to-reach Customer Service to solve your problems within 12 hours. 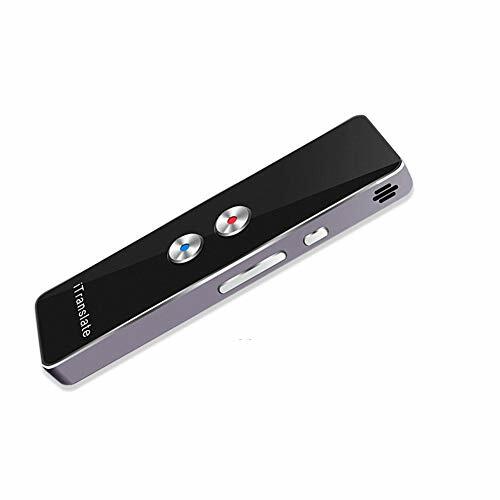 【Small&Portable】This product is designed to be portable and can be carried in a pocket or bag. Speakers with high sensitivity and fidelity can recognize what you are saying even in noisy environments. Suitable for travel, study, shopping, international conferences, etc. 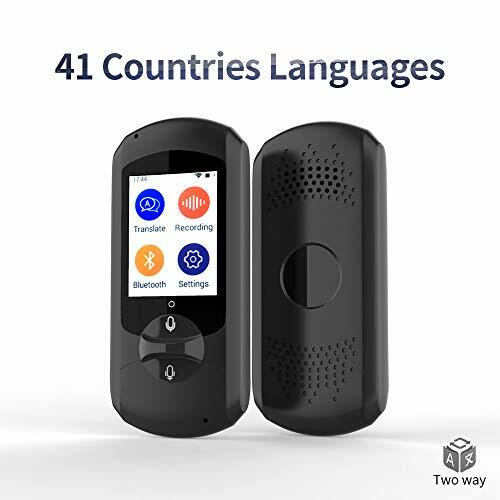 【Two-Way Instant Translator】Wireless connection via WiFi and 3G network, supports two-way language translation, designed for language learner, businessmen, tourists, sojourners, etc. 【Multiple Languages Translation】Support for real-time translation of the following 43 languages: such as English,Japanese ,Chinese,French ,German,Arabic(Egypt),Spanish,Russian,Korean,Slovenian,Tamil(India),Polish,Greek,Portuguese,Czech,Slovak,Catalan,Taiwanese,Norwegian,Finnish,Italian,etc. 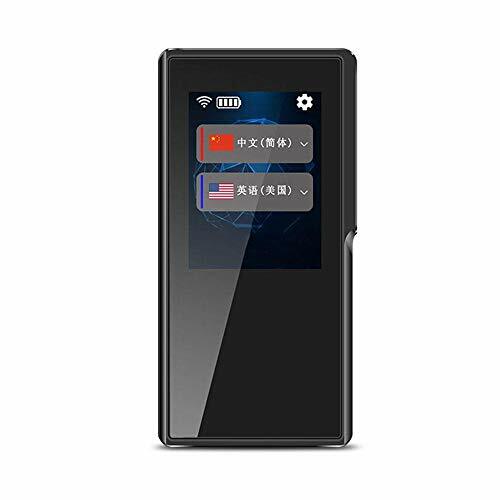 【Touch Screen】It has 2.4 inch color touch-screen, simple and elegant design.It is translated into text on the screen, which is very helpful for talking to each other, and allows excellent visual experience and smooth and sensitive operation. 【Service】We provide 1-year warranty which includes lifetime technical support: email reply within 24 hours.Or call us : +1(352)702-5883(Eastern time Monday to Friday:9:00am - 5:00pm),+1(352)396-4031(Eastern time Monday to Friday:8:00 pm to 10:00 pm,Saturday and Sunday : 10:00 am to 5:00 pm). 【Multiple Languages Translation】Support for real-time translation of the following 43 languages: such as English,Japanese ,Chinese,French,German,Spanish,Russian,Korean,etc. 【Service】We provide lifetime technical support.If you have any problems,please email to info@oossxx.com or call us +1(352)702-5883(Eastern time Monday to Friday:9:00am - 5:00pm),+1(352)396-4031(Eastern time Monday to Friday:8:00 pm to 10:00 pm,Saturday and Sunday : 10:00 am to 5:00 pm). 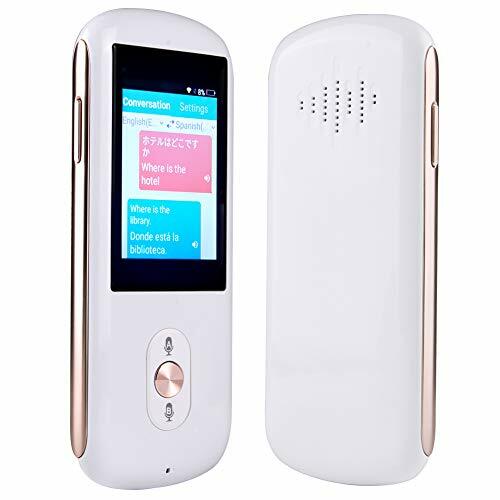 ❤ 2.4 inch touch screen; Work with network connection through WIFI, synchronized with the mobile phone via Bluetooth; Intelligent noise reduction, natural sound. ❤ Synchronous translation in 43 languages: English, Chinese, Japanese, German, French, Arabic, Spanish, Russian, Korean, Romanian, Tamil, Greek, Portuguese, Slovak, Catalan, Norwegian, Italian, Finnish, Hungarian, Cantonese, Vietnamese, Bulgarian , Turkish, Hindi, Polish Slovenian, Czech, Hebrew, Taiwanese, Croatian, Swedish, Danish, Dutch, Thai, etc. 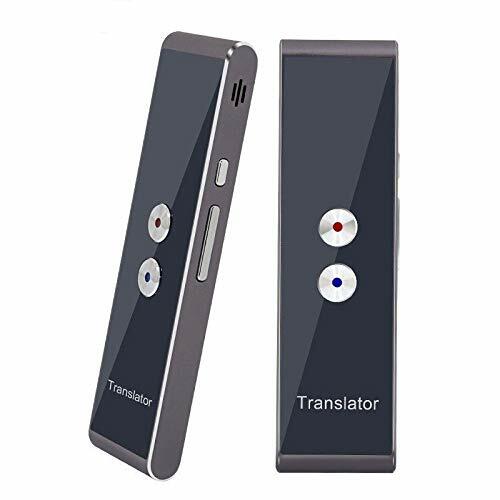 ❤ Two-way Translations: It listens to what you say, translates it into the language selected and plays the translation in real time through its speaker. Your conversation partner can then speak in his own language and Bestrans will translate it back for you. A written translation will also appear on the screen. ❤ Best gift for yourself to travel abroad, for your parents to overcome language barrier and for your children to learn new languages ! 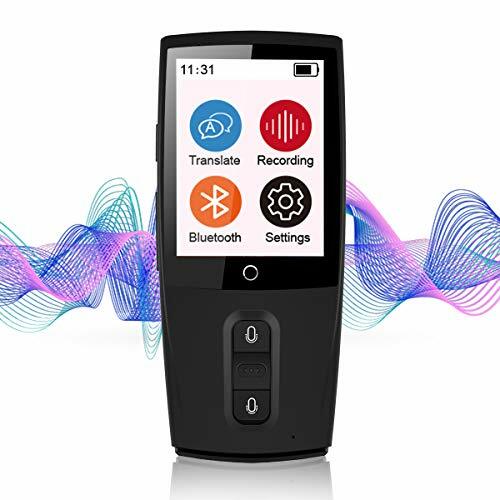 High-Speed Translating Accuracy：Smart translator device,it is with two-way translation,it will recognize what you said and speak out loud the translation result, it's 95% accurate both for simple sentences and for complicated sentences. 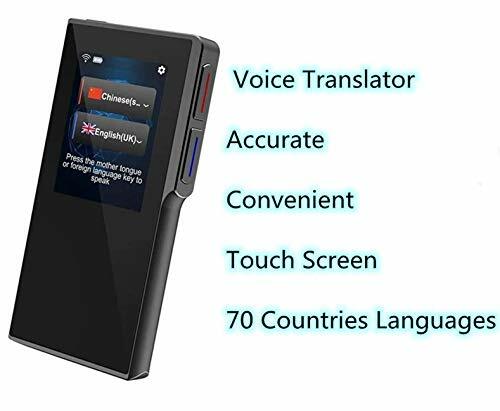 The language interpreter has 2.4 inch color touch-screen, simple and elegant design, When it is audibly translated, it is also translated into text on the screen, which is very helpful for talking to each other, and allows excellent visual experience and smooth and sensitive operation.